Joan Rivers remains on life support, the comedienne's daughter, Melissa Rivers, said in a statement released Tuesday afternoon. According to earlier reports, Rivers was slowly being taken out of a medically induced coma. The 81-year-old TV personality was rushed to New York's Mount Sinai Hospital last Thursday when she suffered cardiac arrest after her breathing stopped during a procedure at a Manhattan doctor's office. The day before, Rivers said her mother's condition "remained serious." Melissa Rivers previously released a statement, saying, "I want to thank everyone for the overwhelming love and support for my mother. She is resting comfortably and is with our family. We ask that you continue to keep her in your thoughts and prayers." 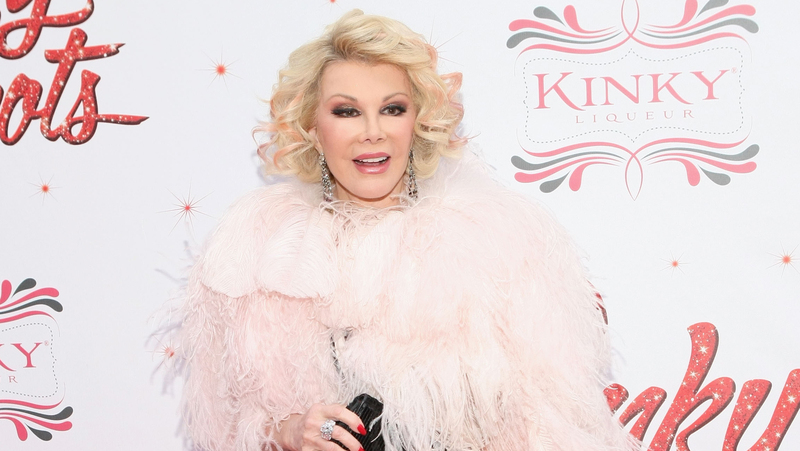 Joan Rivers was in New York getting ready to tape her E! television series, "Fashion Police," to coincide with New York Fashion Week.